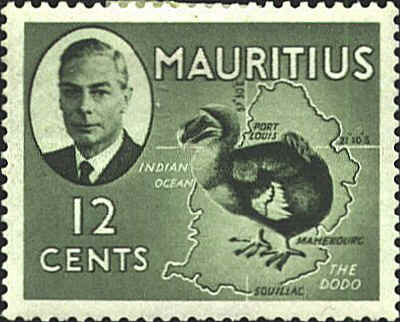 Issued in 1950, the coordinates for the capital of Mauritius, Fort Louis, are given as 21°10´ S, 57°30'E. They should be 20°18´S, 57°31'E. The latitude was corrected when a new stamp with Queen Elizabeth’s picture was issued in 1954, but the longitude was not corrected.